If you thought Chunky Monkey was, like, the craaaaaaziest thing ever... you clearly haven't seen Phish Food! Whooaaa! 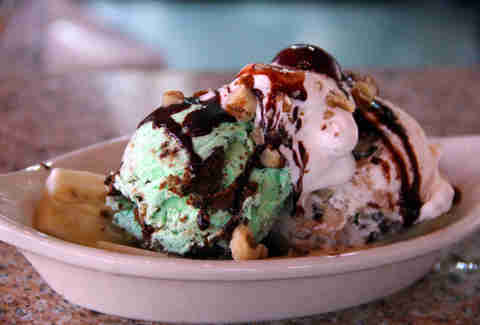 But seriously, it really means you obviously haven't been out for ice cream in a while and seen what people are doing with things like beets, crustaceans, meat, and other stuff that you won't find at Baskin-Robbins. 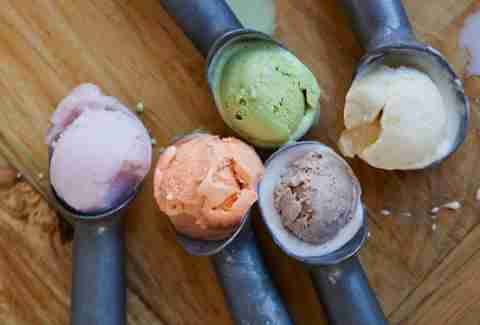 Here's a coast-to-coast look at the weirdness creameries are putting in their ice cream... and that people totally love. At a place featuring mainstays like Beet Pistachio Honey Goat Cheese and Sesame Kumquat Pumpernickel, you've gotta really go out of the box to blow minds. 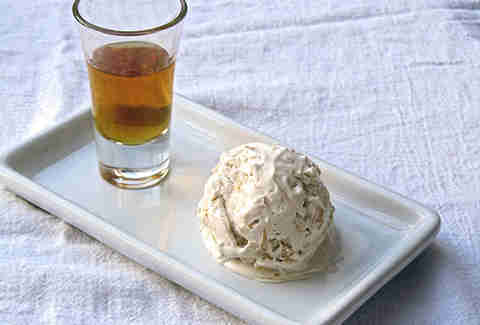 But, for a limited time (and hopefully for a less limited time in the future), they offered perhaps the most decadent, illegal-in-some-states ice cream possible. In the future, ducks will force feed something like this to humans. And we won't care. 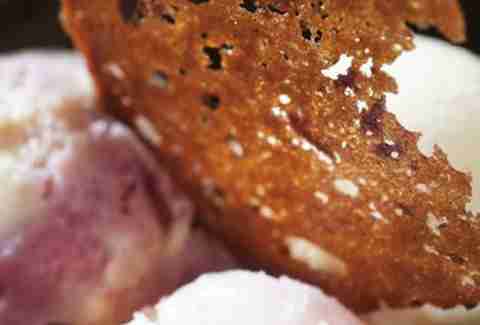 Walk into the PDX ice cream hotspot any given day and you'll find experiments ranging from gin/salt/dark chocolate to bone marrow. But, among the normal flavors, you'll consistently find stuff like this combo that takes the cheese-plate mainstay and shoves it in a cone. 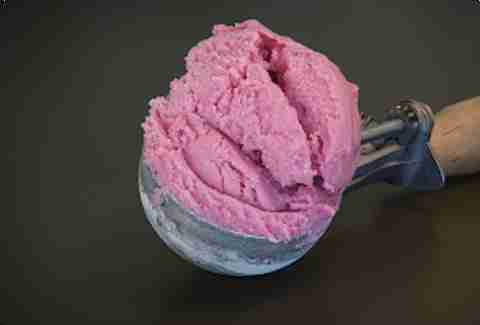 Inspired perhaps by a Ukrainian chef who accidentally tasted his borscht right after brushing his teeth, this scoop takes on the purple hue of its base, but the mint takes away the harshness of Mario's favorite root vegetable/projectile by adding an unexpected sweetness to the mix. 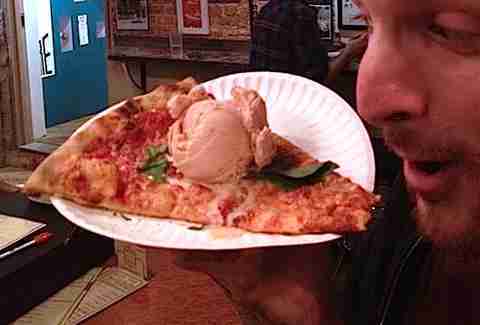 Known for its bizarre flavors (Everything Bagel, Maryland BBQ) and bizarre-er commercials (seriously, watch this creepy thing), this Philly joint upped the ante w/ its pizza-flavored ice cream, consisting of cream, tomato sauce, spices, and garlic. Even better, they ditch the cone and plop it on top of a slice from neighboring Pizza Brain for a concoction specifically designed to give Donatello diabetes. 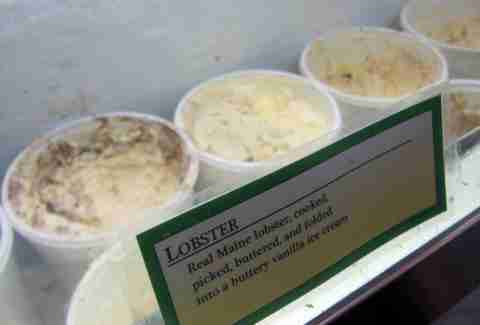 These Mainers and, um..., Massachusettsers have finally solved that pesky problem of utter lack of crustaceans in desserts by incorporating an entire lobster's worth of meat into this butter-based cream that makes the lobster roll seem like a Jenny Craig meal by comparison. There're a lot of strange flavors floating around this SF spot -- ancho chilies, cheese, mushrooms, and prociutto among them -- but none of the off-the-wall flavors combine like the whiskey/Cornflake combo found in Secret Breakfast... or, as Keith Richard calls it, "Breakfast". 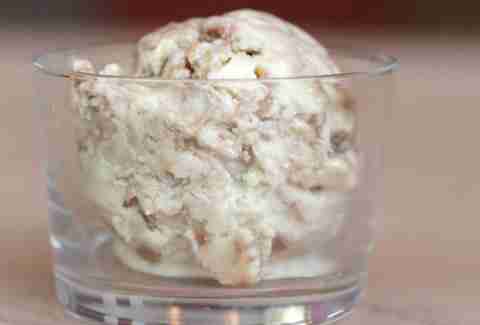 Curry ice cream is actually common... in India. This swank Chicago Four Seasons restaurant sweetens the deal by mixing it w/ the yellowest of tropical fruit, thus creating the most glorious melding of bananas and curry since Adrianne started a Twitter account. 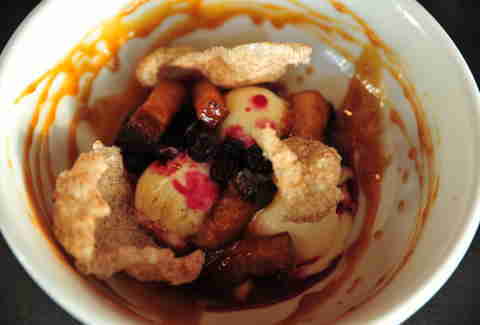 It's unclear whose birthday this cake batter was designed for, but it sure as hell isn't Jackie Mason... taking the idea of bacon ice cream to an extreme level, this concoction comes loaded w/ bacon-caramel sauce, caramelized pork belly bites, and chicharrones. Oy vey, indeed. 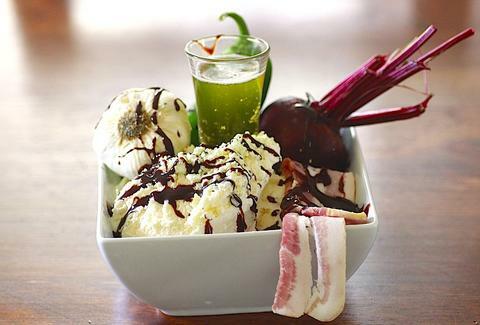 Because everything is better when it tastes like a bar snack, and because everything in Texas already kinda tastes like a bar snack, this joint has rolled a bunch of bacon and peppers into its ice cream for the most exciting popper experience since that time they ran that harmonica-playing hippie out of town.